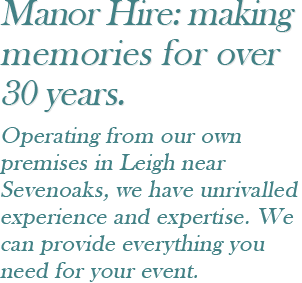 Manor Hire: making memories for over 30 years. Operating from our own premises in Leigh near Sevenoaks, we have unrivalled experience and expertise. 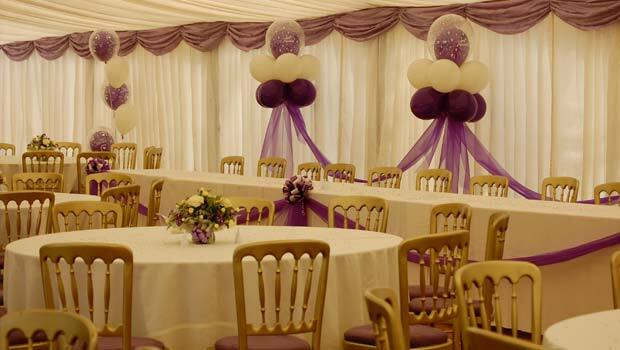 We can provide everything you need for your event. 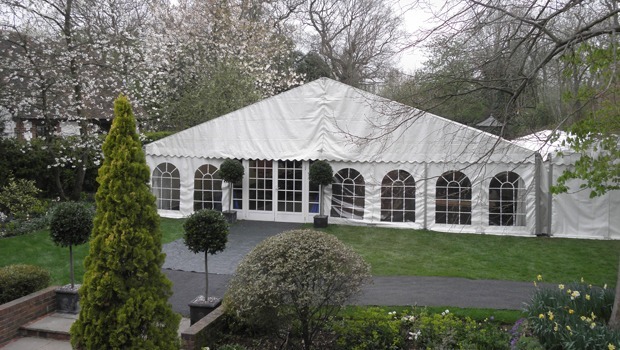 We provide all styles and sizes of marquee and over the years have put up marquees for virtually all occasions you could think of! Weddings, significant birthdays, christenings, sales promotions. We’ve worked in stately homes, back gardens, fields and even in the middle of London! Use our simple form to get a quote or if you have any questions, please get in touch. I just wanted to write and thank you for the marquee at Salomons Estate in Tunbridge Wells this week to house our Food & Drink Exhibitors at our Luxury Christmas Gift Fair. The whole project was seamless and the new heaters were very effective and easy to use. Our Exhibitors and visitors were very toasty whilst they shopped. It went so well, we’d like to rebook you now please for supplying the marquee at our Luxury Christmas Gift Fair at Salomons Estate in November in 2017. On behalf of the cricket club I would like to thank Andy and his team at Manor Hire for their impartial and honest advice and their first class customer service; nothing is too much trouble and they are excellent value. From Andy’s first site visit till the last uplighter was installed in the tunnel, nothing was too much trouble. Rest assured that we shall not hesitate to recommend your services to others. Dear Andy I just wanted to thank you and Dominic in particular for the great job you did this weekend with the marquee for our wedding at Riverhill. Everything was excellent and the staff were all very helpful and very quick and efficient. Thank you for including the floodlights for the toilet area and the giant toys. The heaters were definitely necessary by the evening. I would be very happy to recommend you. 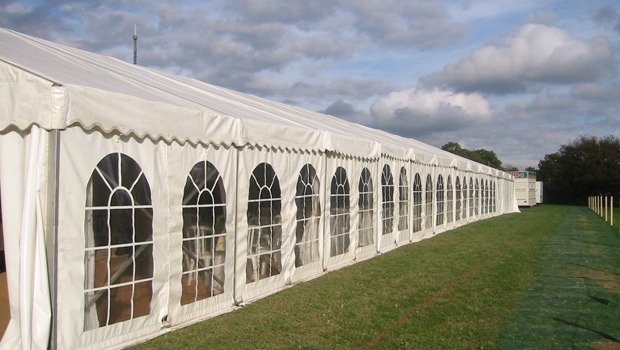 Thank you for the prompt and efficient manner in which your company dealt with the marquee and ancillary products. The event was successful and the residents of County Hall were not inconvenienced.